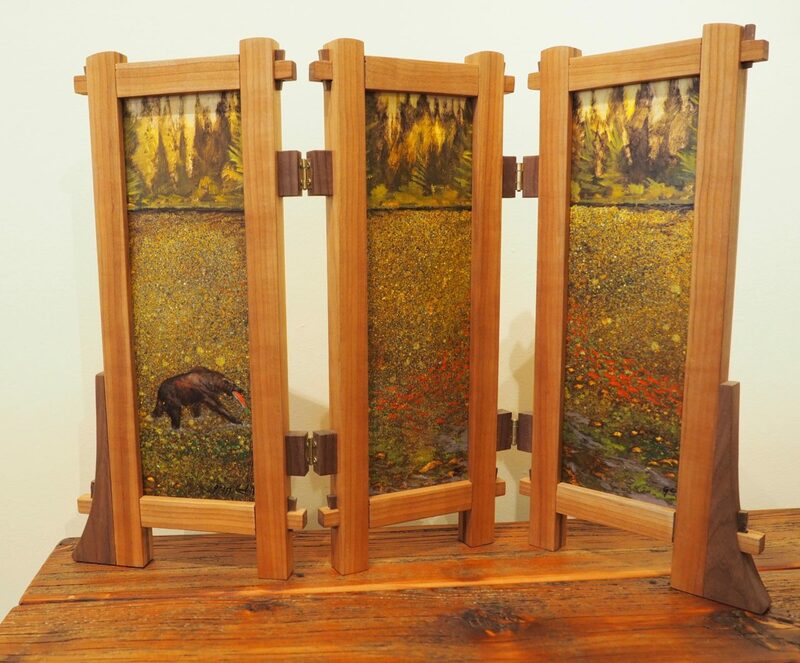 Like the avid fly fisherman that he is, artist Gregg Caudell has many tales to tell. When he goes fishing, he says if he doesn’t catch a fish, he may “catch a painting.” Every fishing hole is a good painting, he says. In his long painting life, he has caught many paintings. Any viewer of Gregg’s paintings knows that he likes to paint big, the bigger the better. He believes that you have to see the “fingerprints” of the artist, but an artist must develop his own particular process. Gregg’s style is ever evolving in technique, expression, materials, scale–in everything really–and always reflects his life. Gregg understands that at some point in an artist’s life, the artist has to confront the challenge of subject matter and how to say what he wants to say. This winter in his studio, he is addressing how he can create a visual language to respond to climate change. For him, this involves fish, which he considers to be the “canary in the coal mine” for climate change. He sees that we are in an historical period analogous to what the Impressionists faced who painted at the advent of photography which radically changed visual awareness. Gregg is clear about what he thinks and what he is doing, but he struggles with the mystery of how painting communicates. He welcomes this struggle. He would be happy if his paintings were as immediate and strong as a fish that suddenly breaks the surface of the lake as it jumps on the end of a fisherman’s line. 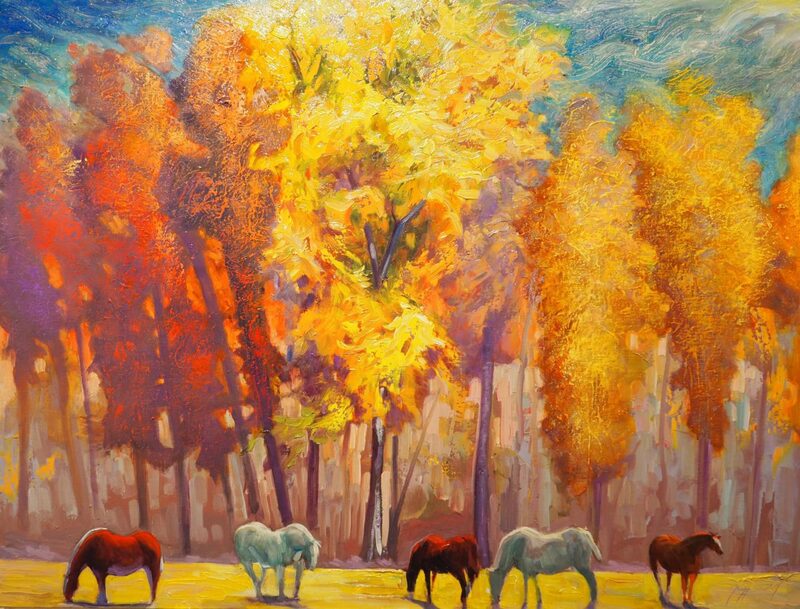 Gregg is a new member of the Winthop Gallery in Winthrop, Washington, where his work is always on display. You can meet him while he works in the gallery. The Gallery Members’ In-Gallery Schedule is displayed in the gallery’ front window. LOCATION: 237 Riverside in downtown Winthrop, WA. HOURS: Spring Thurs-Mon, 10am-5pm. INFO: (509) 996-3925 or www.winthropgallery.com.